The ninth apparition. 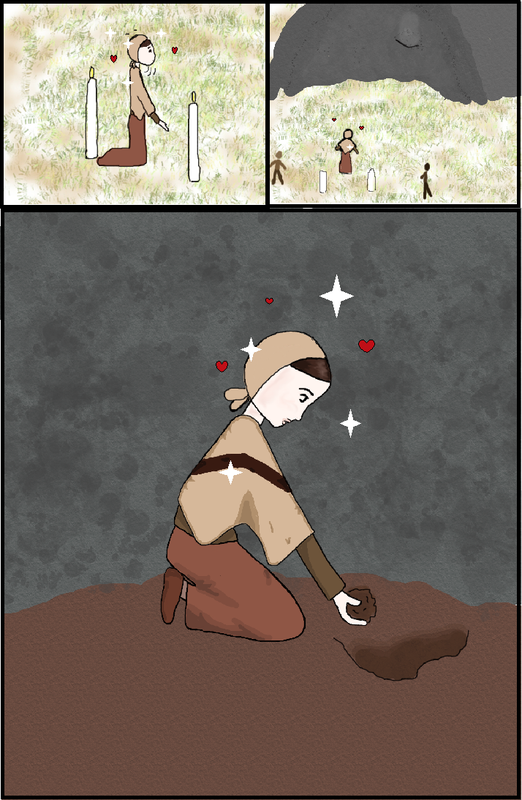 Bernadette began to dig in the dirt, to the surprise of all the people around her. So, this was super late. Super late! Y'all on the East Coast are probably confused. I'm sorry; I've been quite busy because my aunt came to visit grandma and me, and i haven't had a good opportunity to work on this. I may be late again on Thursday, but I'll try my best not to be. Please don't expect too much - I wanted the header to be extra special, that's all. the amazing -ness of PRAYER﻿ (this is where I said Meagan's art) will BLOW YOUR MIND!!!! prepare yourself to cry tears of joy at how beautiful BEING WITH GODBEWINGB﻿ is, every TIME YOU PRAY﻿ (she updates) ﻿at least a half hour! unless you DON'T prepare yourself, then it'll be 2 hours of joy tears!!! WAIT a minute, you can't edit MY words! that's off limits.